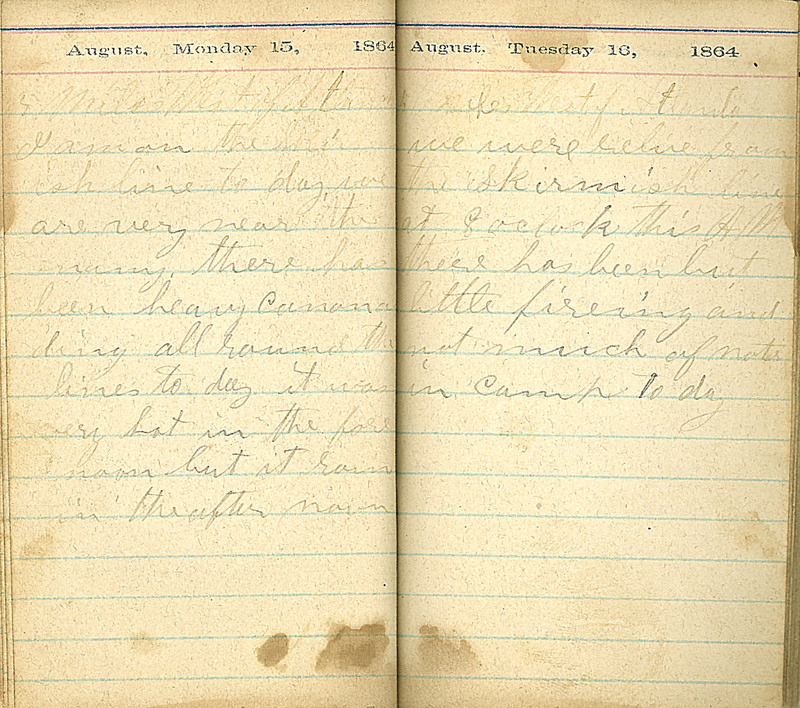 August, Monday 15, 1864, 5 Miles West of Atlanta. I am on the skirmish line to day we are very near the enemy. There has been heavy canonading all round the lines to-day. it was very hot in the fore noon but it rained in the after noon. August, Tuesday 16, 1864. 5 miles West of Atlanta. We were relive from the skirmish line at 8 oclock this A.M. there has been but little fireing and not much of note in camp to day.